So, a step away from the memory trip to Hawaii to bring you breaking news from the McFeaters family. 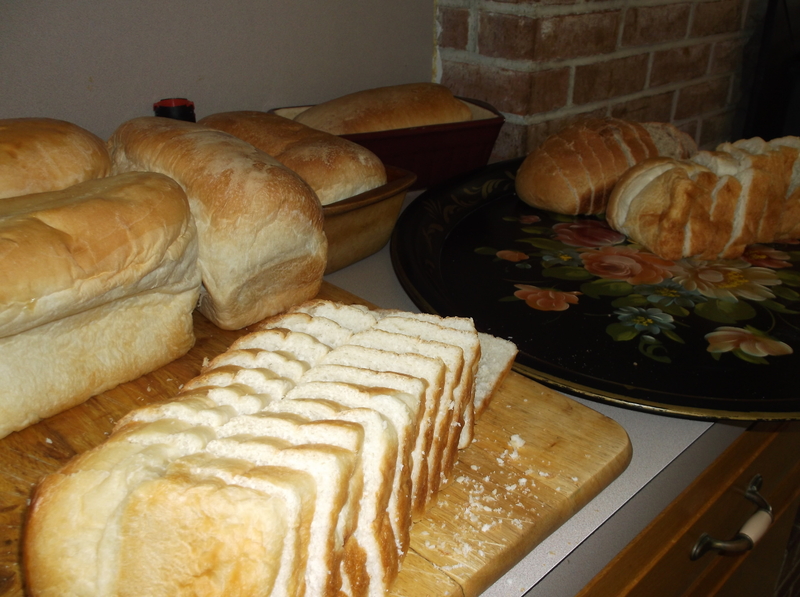 This past Saturday we had our annual family apple butter making day. 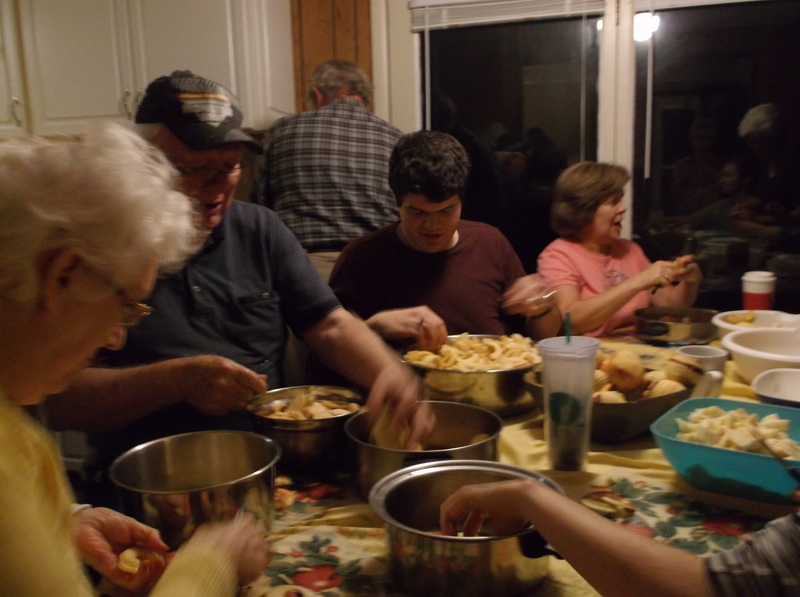 On Friday evening we gather to peel apples and share desserts and snacks. On Saturday morning we gather at a different home to start the process of getting apples and a little cider into the copper kettle over an open fire. While some work on that others work at preparing buck wheat cakes with sausage and wurst meat for a hearty breakfast. There are those who still insist on syrup, but, in my opinion, why waste a good buck wheat cake? While the endless stirring, and the addition of apples goes on and on, people arrive and children play. The people arriving also bring, you guessed it. FOOD!! Yes this is actually a food frenzy disguised as an excuse to make apple butter. At noon we gather around the kettle as family and friends to thank God for our time together and our family heritage. The family highlight of the day is presenting the copper kettle award to a person who has continued to be supportive and helpful on apple butter day. The line forms at the front door picking out your favorites from three counter tops and a kitchen island laden with casseroles and crock pots simmering with good food. The eating finale comes when the last of the steaming hot butter is put in a jar and the warm, fresh baked bread comes out of the oven to be slathered with apple butter fresh from the kettle. This year we had a reporter from The Patriot, a Harrisburg, PA newspaper come to do a story of the apple butter day. You can see her photos and read the story by using the link below.